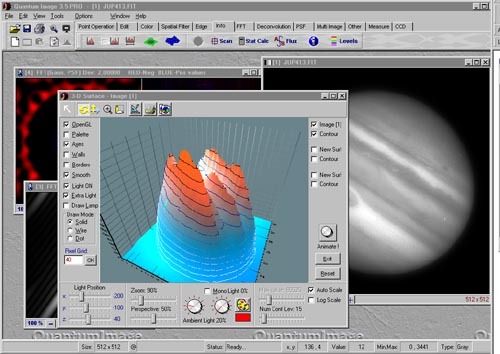 Integrated tools to view data in 3D. 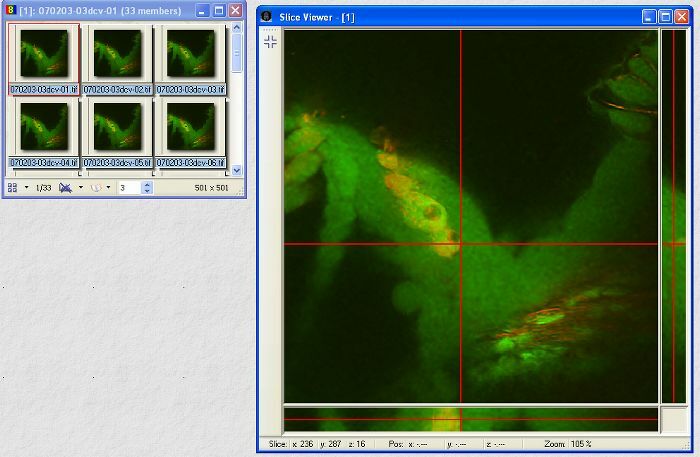 Examine a volume stacks fast in x, y and z direction simultaneously with the Slice Viewer. View the stack from 3 different directions at the same time. Tool to overlay a sharp image on a created Depth Map and view the result in 3D. 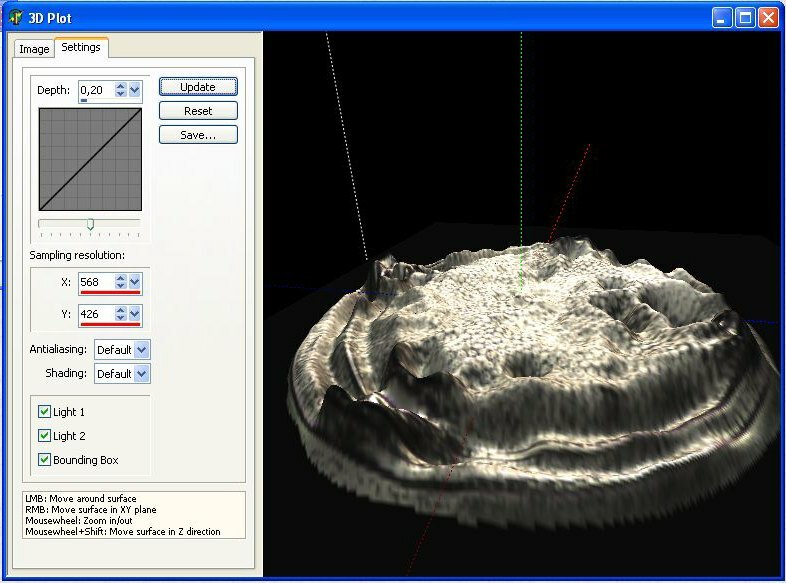 Show image 3D profile and contours with the 3D surface viewer.